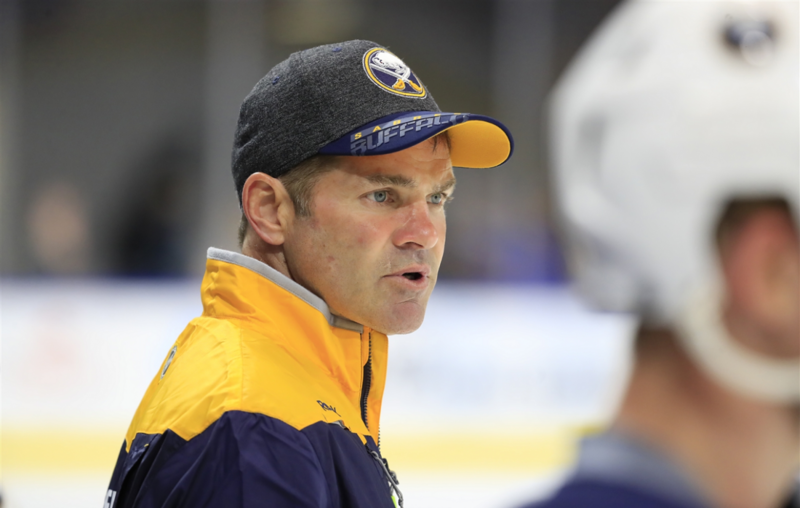 Rochester Americans coach Chris Taylor, whose name has been mentioned as a possible replacement for former Sabres coach Phil Housley, said he hasn’t interviewed or talked with the team about the opening. “I’m just concentrating on this year and our players and our team right now,” Taylor said Thursday. The Sabres fired Housley on Sunday following a disappointing 76-point season. Having earned 96 points this season, the Amerks rank second in the North Division and third in the 31-team AHL. Taylor, 47, has led them to the playoffs in both of his seasons as coach. Following Friday’s regular-season home finale against the Binghamton Devils, the Amerks close the schedule with road games against the Syracuse Crunch on Saturday and the Belleville Senators on Sunday. The Amerks begin their first-round playoff series against an opponent to be determined this weekend on April 19 at Blue Cross Arena. Americans winger Alexander Nylander is day-to-day with a lower-body cut he suffered in his last appearance with the Sabres, Taylor said. The Sabres sent Nylander, who hasn’t played since April 2, back to the American Hockey League on Monday. Taylor said Nylander, 21, has been skating on his own but wasn’t on the ice Thursday. Nylander compiled two goals and four points in 12 games with the Sabres. The Swedish prospect has scored 12 goals and 31 points in 49 contests with the Amerks this season.